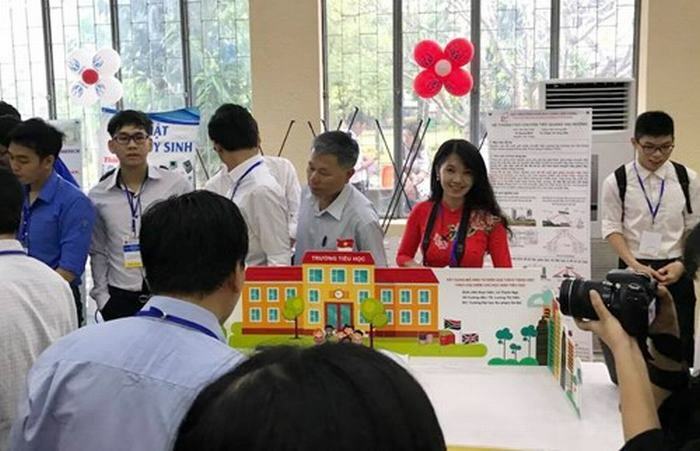 The topic of "Building a model of dictionaries for Vietnamese language by topics for primary pupils" by Le Thanh Nga – student of Hanoi National University of Education won the first prize of Student Science Research Contest in 2017. 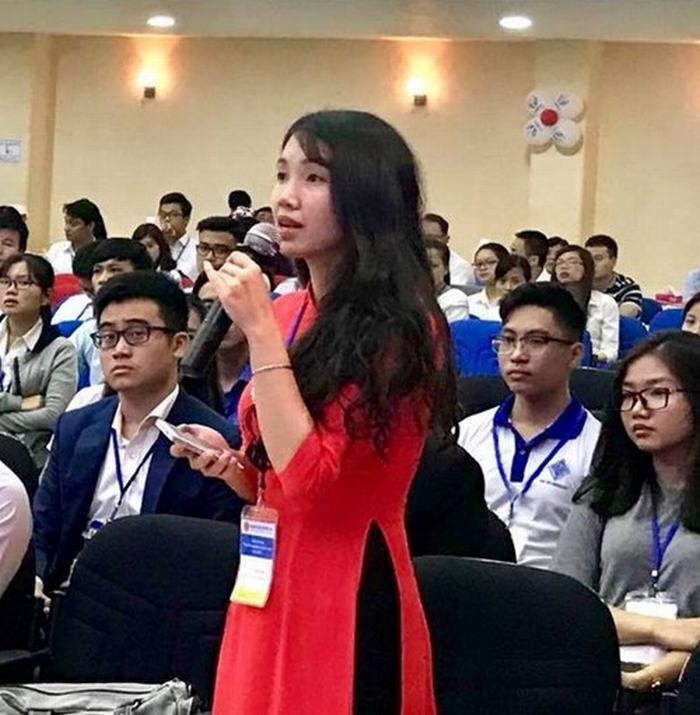 Speaking about the topic, Le Thanh Nga said: A Vietnamese dictionary for elementary students can become a useful tool, a companion to support learning Vietnamese in particular and other subjects in general. Currently, dictionary for pupils, especially elementary students, have not much attention. The number of dictionaries for students is quite rare, the form and content of some dictionaries in the market is not really rich, creative, and satisfied enough to meet the requirements of this special users. Primary education plays an important role in laying the foundation for intellectual and physical development for students, in which Vietnamese is a tool for the task of shaping students’ language ability. . Draft general education program "Educating language and literacy plays an important role in fostering ideologies and sentiments for the young generation" and "Educating language is done in all subjects" issued in April 2017. Providing a tooling dictionary for students to solve problems in semantic field while learning, helping parents and teachers to develop vocabulary for elementary students is essential. . However, children are not small adults. Children are really a target audience with specific needs, psychological and cognitive needs. It is not possible to develop a dictionary for elementary students based on subjective perceptions in the simplified way of popular dictionaries, adult dictionaries. Therefore, it is necessary to have researches from a theoretical point of view on the construction of dictionaries to guide the creation of products suitable for this type of audience. Today, the trend in textbook design is to integrate listening, speaking, reading and writing skills; problem-solving skills, social skills, thinking skills, and skill-based instruction, teaching knowledge and skills as well as providing students with the opportunity to experience what has been learned by suitable subjects and topics. Le Thanh Nga at the exhibition "Student Science Research"
In the elementary school textbooks from grade 1 to grade 5 of Education Publishing House with the standard knowledge and skills program issued in 2006, the Vietnamese language course aimed to develop and expand students’ vocabulary through reading and especially practicing to use words and sentence in different topics. 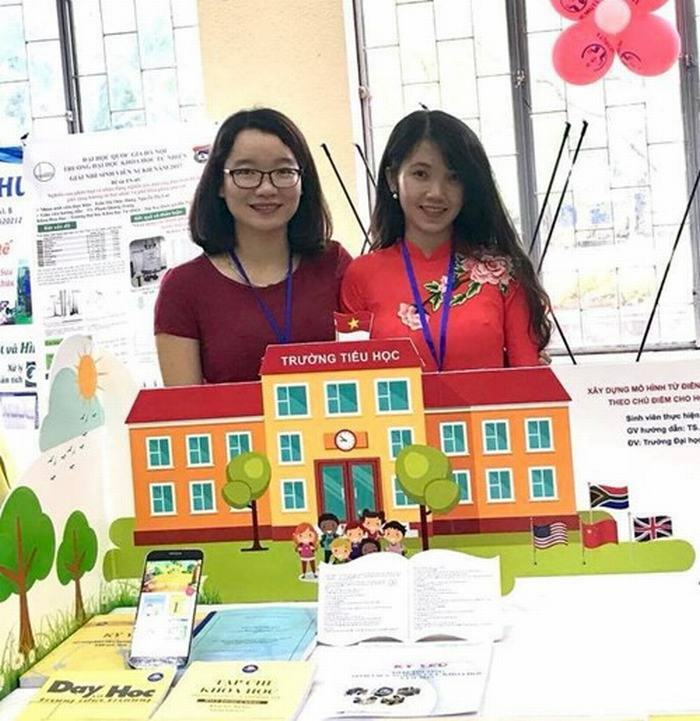 “It can be seen that most English language curriculums provide subjects’ vocabulary, but this is not found in Vietnamese dictionaries and books” the author said. Studying the model of Vietnamese-language-based dictionary for primary pupils can be based on the experience of other countries in the field of language education in line with the practical context of Vietnam. Appreciating the practicality of the topic, the council said: "The topic has initially offered a sketching of a fairly typical dictionary”. Hopefully in the near future, close and practical dictionaries for elementary school pupils will appear more, contribute to improve the quality of teaching and learning Vietnamese in schools.